What's new with Rachio 3? What's in the Rachio 3 box? Dimensions: 9.1" x 5.5" x 1.4"
The Rachio mobile app is available on iOS 10.3+ and Android 4.4+. Web app is available on most internet browsers. Mobile app is required to connect the controller to Wi-Fi. 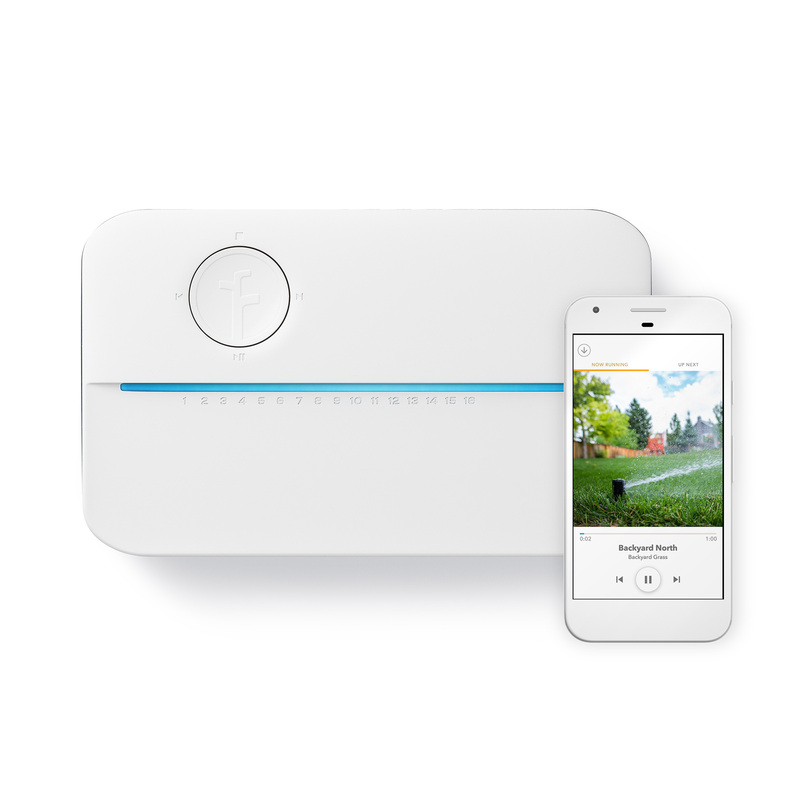 Rachio 3 supports 14-22 gauge wires. Rachio 3 works with Nest, Amazon Alexa, Apple HomeKit, Google Assistant, and others. Outdoor installations require an outdoor enclosure to protect your controller.